Our fat burning workout videos are the safest way to lose weight fast! Don't wait! Reduce your body fat by finding a great Fat Burning Workout now. Our strength gaining routines help you build a strong body foundation. Have a look at some Strength Gaining Workouts. Our strength and conditioning programs combine strength, speed and endurance to tone your body! Start a Toning Workout now! 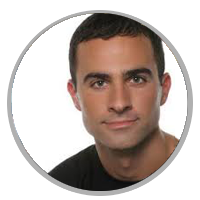 "Train Online has literally hundreds of workouts and exercises." This is a 6 week beginner level program I put together for a client who is getting ready to compete in her 1st powerlifting meet. The skater lunge is a full body exercise that targets the legs and shoulders. This is a great exercise for many different sports including skating, skiing and lacrosse. Improves strength, balance, accuracy, stamina, coordination. 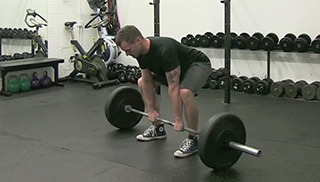 The sumo deadlift is a lower body exercise that targets the glutes, lower back and inner thighs. Improves strength, power, stamina, coordination. Here are some simple, yet SUPER effective conditioning workouts that you can do At Home, On The Road, In Your Office or At The Gym. 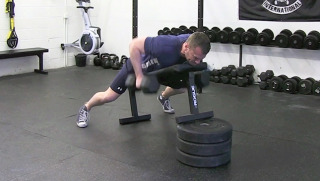 The chest supported dumbbell row is an upper body strength exercise that targets the back.